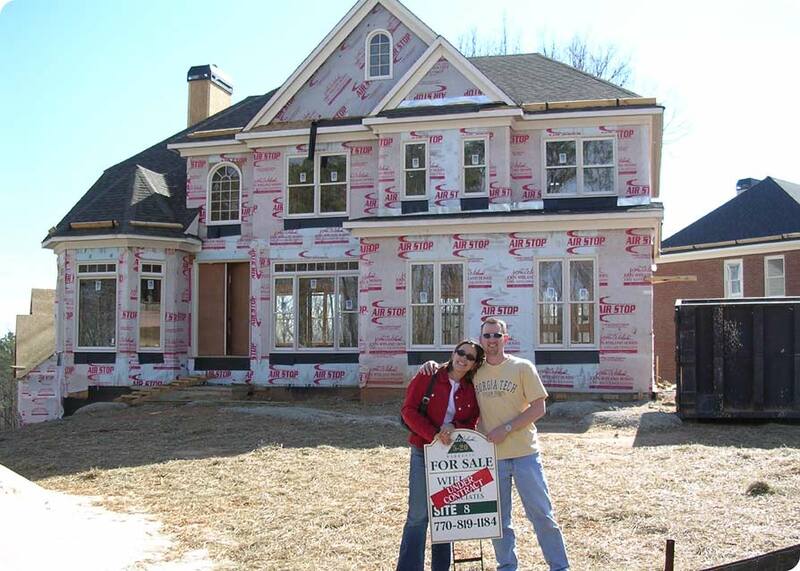 And for some humor – some pics from our 7 year journey so far (these are all snapshots – nothing fancy!). On the left, Halloween 2003, before we got married. 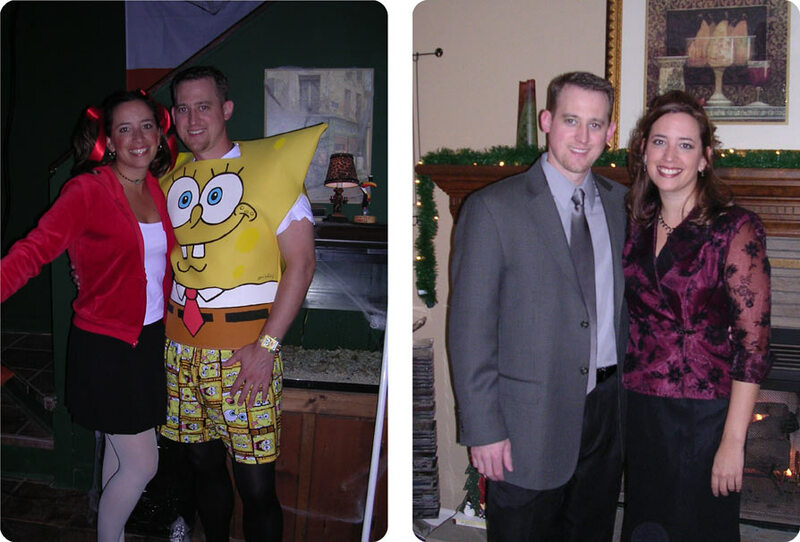 On the right, this was the night Jeff proposed (after his company holiday party) in December 2003, after 5 months of dating. 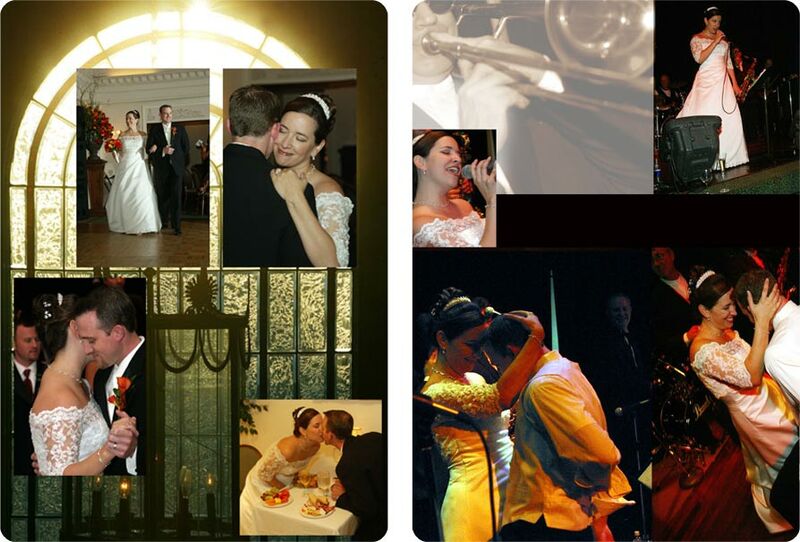 A couple pages from our wedding album. The night I married my best friend! He always makes me laugh. And yes, that’s me singing with the band – dedicated to Jeff: “Because You Love Me” JoDee Messina. 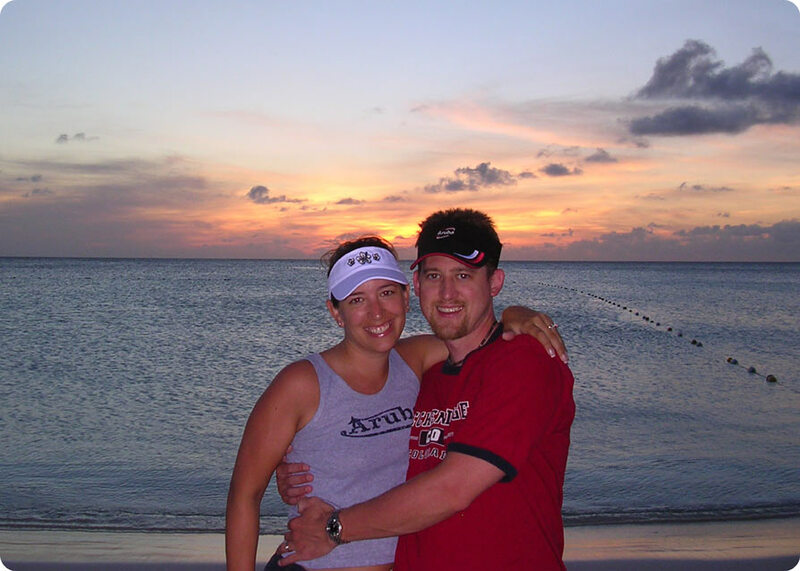 The honeymoon – Aruba / September 2004!!! 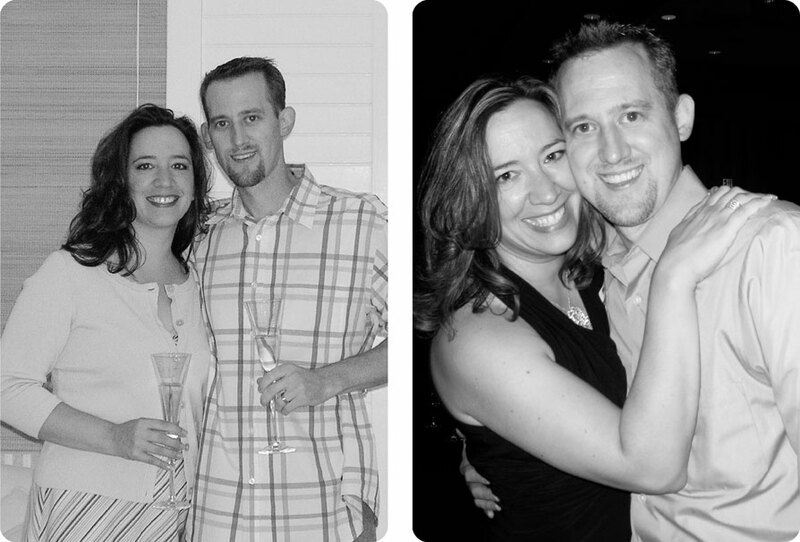 On the left, our first wedding anniversary. I was three months pregnant and Jeff had just spent two weeks in the hospital, had two surgeries, lost over 30 pounds and spent the next year recovering from complications due to Crohn’s Disease. On the right, five years later, happy and healthy! 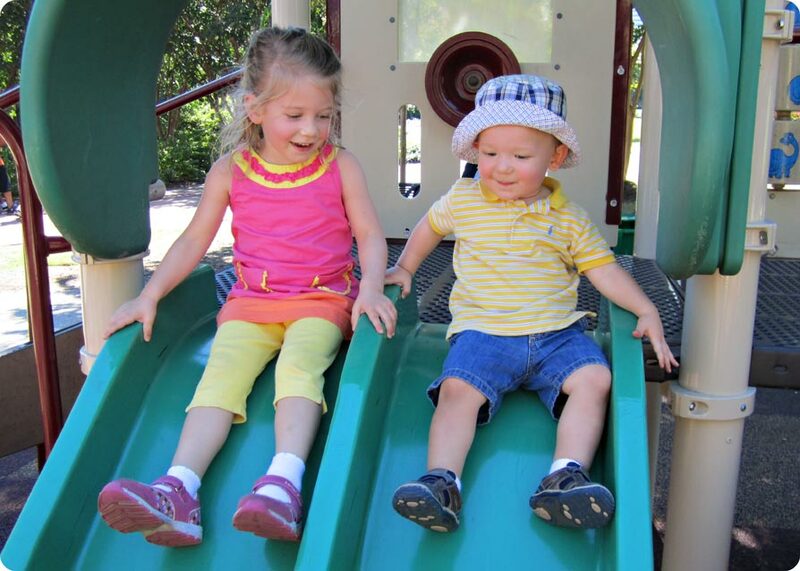 And of course, the two kids that make it all worth while….. Kylie Bear and Jakester! Amber – I love reading your blog but especially your Monday editions. 🙂 Thanks for sharing your life with us! Happy (belated) anniversary! !